From left, Kierstin Jones (sophomore) and Elliot Harrell (junior) have worked on different pieces in Director's Debut. FAIRFIELD — A 1940s-style play with a twist. A Bureau of Short-Term Affairs where one can find a temporary lover. And four other plays that explore the themes of love, civility and friendship. This weekend, Fairfield University students will show off their work at “Director’s Cut,” the bi-annual production of Theatre Fairfield led by directing professor Martha LoMonaco. 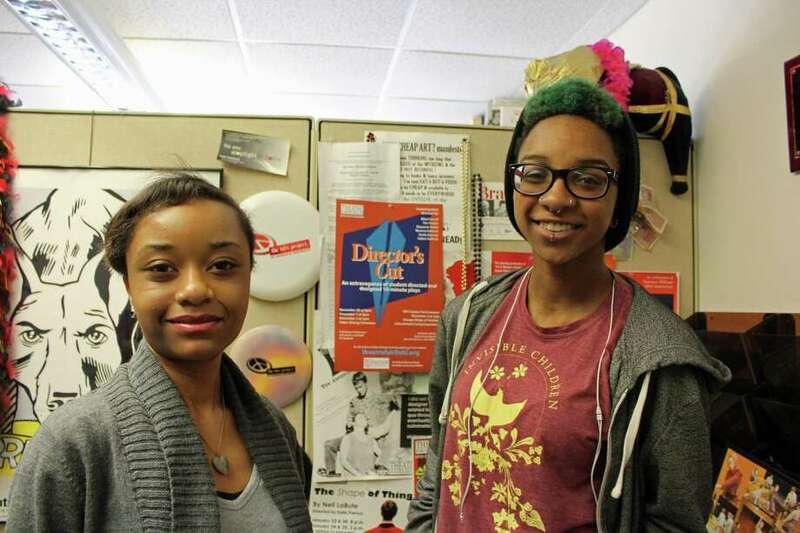 Sophomore Kierstin Jones and junior Elliot Harrell, both theater majors, will have their debuts as actor and director, respectively. Performances will take place at the Faber Dining Commons on Dec. 1 at 8 p.m. and Dec. 2 at 2 p.m.
Tickets are $18 general admission, $10 for seniors and University staff and $5 for students. In total, six seniors and juniors will debut their directing work along with a cast of 12 other students. This year, however, the theater students have had to adapt in the wake of the Sept. 25 rainstorm that caused immense damage to their denominated home, the PepsiCo Theater. Faculty and students have turned Faber Dining Commons into their makeshift theater, where they will perform the six plays Dec. 1 at 8 p.m. and Dec. 2 at 2 p.m. There will also be an off-campus performance Dec. 2 at 7 p.m. at Sturges Ridge of Fairfield. Though these unforeseen circumstances have affected plans and settings, the students are upbeat and excited about presenting their work. LoMonaco, who is celebrating her 30th year at Fairfield University, highlighted her students’ perseverance despite the water damage to their beloved class and rehearsal space.